The RP Photonics Buyer's Guide contains 57 suppliers for cameras. There is a wide range of cameras, which are nearly all optical instruments for recording still or moving images, i.e., used for some kind of imaging purpose (with few exceptions like streak cameras). This article gives a brief overview on different kinds of optical cameras. Most cameras involve some kind of optical imaging from the objective scene to some light detector, e.g. a photographic film or an electronic image sensor, e.g. of CCD or CMOS type. In most cases, some kind of imaging objective is used. The simplest imaging method is the principle of the camera obscura, requiring no optical elements except for a pinhole. In practice, however, one nearly always uses some kind of objective, for example a photographic objective or a microscope objective. Its essential purpose is to send light received from distinct points of the object to corresponding points on the detector. Basic principles of optical imaging are explained in the article on imaging with a lens. As the imaging function can never be perfect, the resulting images have various kinds of imperfections, for example a limited resolution, geometric distortions, deviating colors and a lack of sharpness. For recording still images, there may also be effects of the finite recording time, e.g. blurring of images related to movements of the object or the camera. Generally, an imaging system has a limited depth of field, i.e., a limited range of distances for which sharp imaging is possible. Tentatively, the depth of field gets smaller for objectives with long focal length and when using large apertures. The smaller the depth of field, the more critical is the focus adjustment to a certain object distance. Many cameras have an autofocus function which does that adjustment automatically. The article on imaging with a lens explains the issues of focusing and the limited depth of field in more detail. There are generally certain trade-offs which need to be taken into account for decisions on various parameters of a camera. For example, imaging systems with a large aperture can collect more light, but have a lower depth of field. An objective with large focal length can collect more light, but also with a reduced depth of field. For example, miniature smartphone cameras generally exhibit a high depth of field, but a limited light gathering power, so that they have more problems with poor ambient light conditions than ordinary photo cameras, for example. 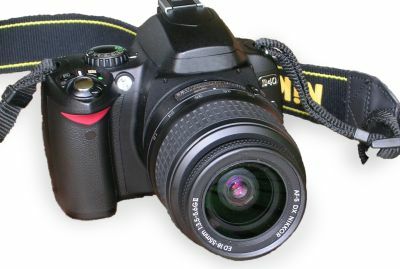 Figure 1: A single lens reflex photo camera. Photo cameras are widely used, mostly for capturing still images, although some of them also allow one to record video sequences. In terms of image quality and resolution, photo cameras are often superior to video cameras, for example. Simple consumer-grade “point-and-shoot” cameras offer a reasonable image quality and various automatic adjustments for easy use; they can be used with a minimum depth of understanding of optics and photography. For higher aspirations, there are single lens reflex cameras (and cameras based on some modified concepts) which are often offering a higher optical quality and substantially more control by the photographer. For fully exploiting their potential, one should acquire a decent understanding of various issues, e.g. concerning the use of different objectives and typical trade-offs in operation parameters, ideally also at least some basic understanding of optics. See the article on photo cameras for more details. Video cameras are cameras for recording moving images, for example for television and surveillance. Figure 2: A consumer-grade camcorder. The image resolution is often limited to a value well below that used in photography. For example, for online videos one often requires less than one megapixel, while photography mostly uses at least several megapixels. Even for large media displays, the resolution is tentatively less critical than for photographs due to the motion. Advanced electronic chips and compression algorithms allow the application of effective image compression even in compact and cheap cameras. Beyond the compression of single frames, one can exploit the fact that images often change significantly only in limited areas. The compression usually causes some loss of image quality, which often can be easily tolerated as the price for a substantial reduction of the amount of data. The storage capacity of compact and cheap electronic devices, typically based on flash memory, has enormously increased. 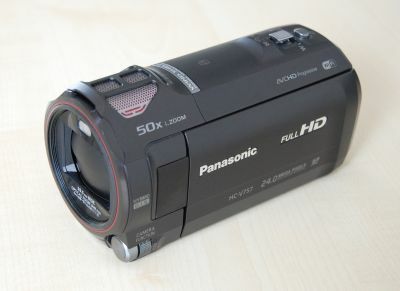 Camcorders (see Figure 2) are lightweight portable cameras, which have become widespread and offer advanced features even at quite moderate price levels. Although even smartphones nowadays allow one to record videos, camcorders (and of course larger video cameras with exchangeable objectives) present substantially higher image quality. Video cameras for surveillance purposes often provide a continuous stream of media data into a computer network. One may use continuous recording, but always erasing or strongly reducing the data after limited time. If some critical incident is detected, image data can be saved to remain available for closer inspection. Advanced computer algorithms with image recognition can provide automatic warnings when certain situations are detected. Also, strong image compression is possible if the observed scene exhibits little change. Very compact video cameras with relatively simple design are used e.g. in notebooks or as separate USB webcams. They normally have a rather small focal length, no optical zoom and moderate image resolution. Due to the small focal length, they exhibit a large depth of field and also a viewing perspective which is not particularly appealing. One would hardly use such a camera for making a portrait photograph, but for applications like video chats they are usually considered to be sufficient. Some optical microscopes are equipped with a camera for recording microscopic images. This can be a film camera or a camera based on some digital electronic image sensor, then often also providing a video stream. Digital cameras usually have a connection to a computer, e.g. with an USB cable. One can then not only use the computer for storing many images, but also utilize a large computer screen for convenient viewing – also for more than one person at a time. Near infrared light can be detected quite easily. There are infrared cameras, which are sensitive to infrared light – often not to visible light. Some of them work in the near infrared, using image sensors which are fairly similar to those for ordinary visible light cameras. For example, the usual silicon-based image sensors exhibit a significant responsivity for optical wavelengths up to approximately 1 μm. Such cameras can be used for surveillance purposes, for example, in combination with infrared illumination, which is not recognized by intruders. Similar devices are used as laser beam profilers. Longer infrared wavelengths require more advanced detectors. Infrared cameras for substantially longer wavelengths can provide night vision without active illumination, exploiting only the thermal radiation of objects. For temperatures around room temperature, however, thermal imaging requires sensitivity for relatively long wavelength of several micrometers, which is possible only with special infrared image sensors. Those are comparatively expensive and exhibit performance figures which are clearly inferior to those of devices for shorter wavelengths. Also, such cameras require special infrared optics, which are relatively expensive and partly also less robust. At least for high performance, long-wave infrared detectors often need to be cooled. Streak cameras are an exception in the sense that they are not imaging devices. 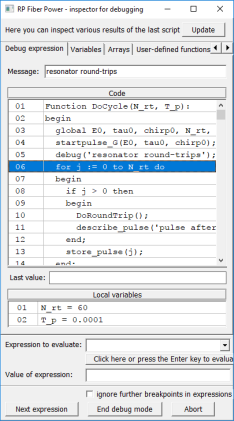 Instead, they are used like ultrafast oscilloscopes for studying very fast time-dependent signals.